It was 29 years ago that Michael Glabicki left college to start a band. At that time he had no idea what he was going to do. He spent two years creating his vision and learning the craft of songwriting. That vision soon became Rusted Root, the multiplatinum band out of Pittsburgh, and Michael became one of the world’s most unique voices. In many ways he is starting this process again by creating an entirely new sound landscape! This process has led to Glabicki’s new solo project, Uprooted! 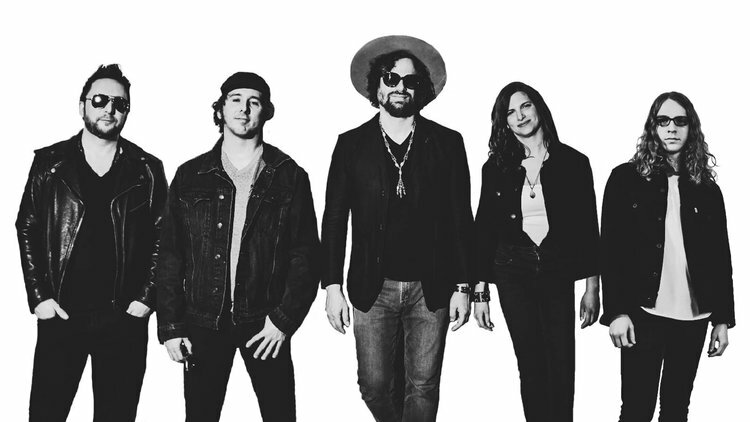 This band is bringing back parts of Rusted Root of old, including more percussion and more female vocals, as well as bringing it into a new place with new material. He will carry on playing Rusted Root’s entire catalog of music on tour with re-inspired versions, as well as continuing to bring new and exciting music under the new name of Uprooted. Members from the most recent touring band for Rusted Root (Dirk Miller- electric guitar, Zil Fessler- drums, Bobby Schneck Jr.-bass) as well as a new female singer, Daisie Ghost Flower will be joining as the backing band on this new adventure.